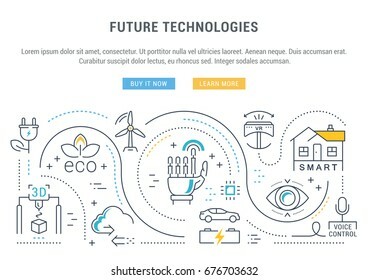 Flat line illustration of future technologies. Concept for web banners and printed materials. Template with buttons for website banner and landing page.